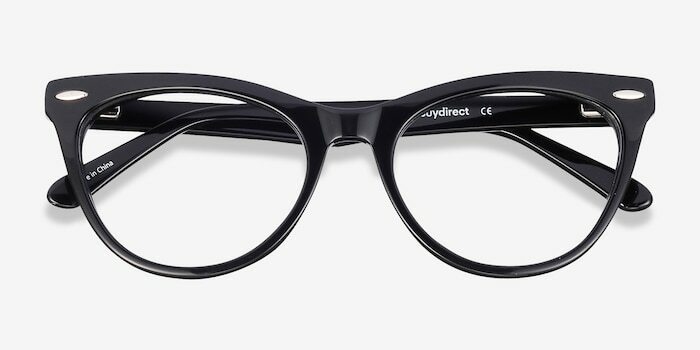 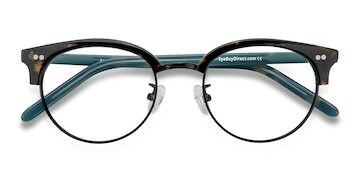 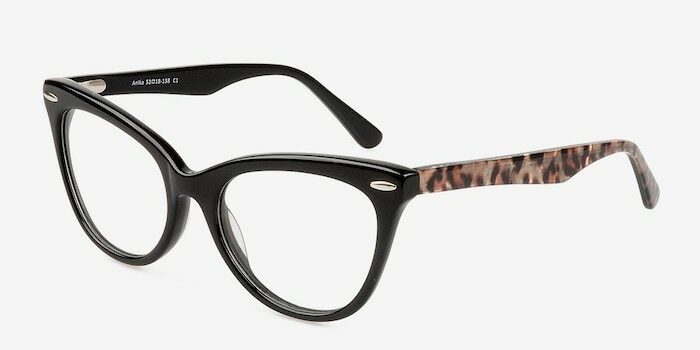 These black eyeglasses are fashionably flirty. 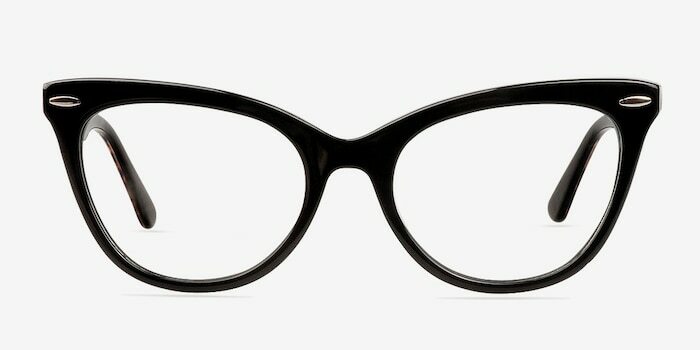 This feminine oval cat eye style has a glossy black finish, adorned with a single stud on each top corner. 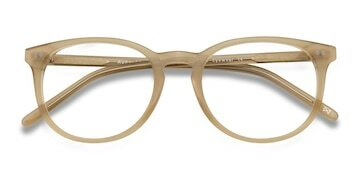 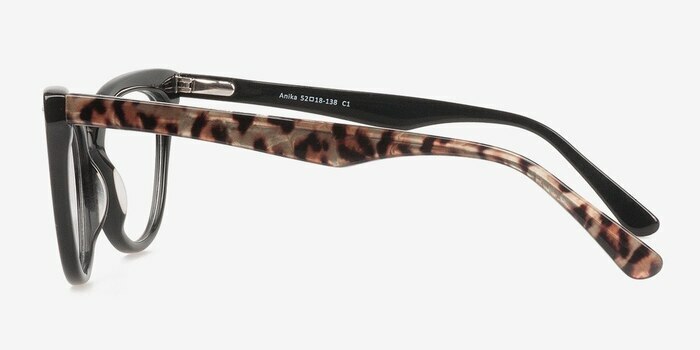 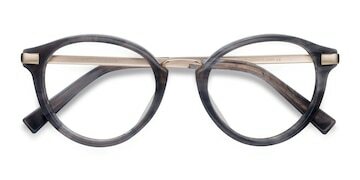 The flexible temples are fierce and feature a complementing leopard print design.